The steam engine unlocked a new technology and fueled the Industrial Revolution. 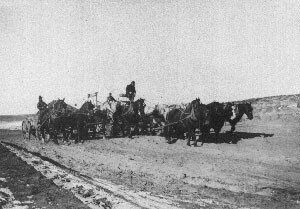 The steam engine found many uses in a variety of industries, from mines, to furnaces, mills and construction, from steam locomotives to steamboats and steam shovels. 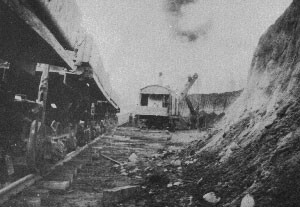 With the introduction of high-pressure steam engines, even greater power was unleashed, enabling such previously impossible feats such as the construction of the transcontinental railroad and moving mountains over a ten-year period to dig the Panama Canal. Yet their power could be dangerous in the hands of inexperienced boiler operators. It took skill and experience to safely operate the boilers and steam engines of the day. Out of this need grew a cadre of men who specialized in steam operations. 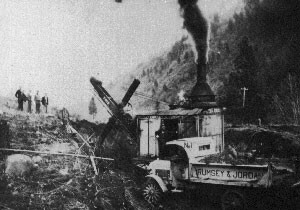 Their unique ability made the steam engineers vital to the operation of steam-driven construction equipment introduced on a large scale at the turn of the 20th century. On December 7, 1896, eleven of these men from eight states – Massachusetts, New York, Ohio, Illinois, Kansas, Missouri, Michigan and Colorado – met in Chicago and organized The National Union of Steam Engineers. They drafted the first constitution of the National Union of Steam Engineers of America, the parent organization of today’s International Union of Operating Engineers. The new union petitioned the American Federation of Labor (AFL) for a charter and it was granted on May 7, 1897. A year later, the National Union of Steam Engineers began granting charters to its own local unions. With new locals being recognized in Canada, the organization updated its name to the International Union of Steam Engineers in 1898. In recognition of the central role of the steam engine in the organization’s identity, a steam gauge was adopted as the emblem, or logo, of the IUOE. Steam engines remained the dominant source of power well into the 20th century. But gradually, advances in the design of electric motors and internal combustion engines reduced their use. In 1928 the word “steam” was dropped from the organization’s name and it became the International Union of Operating Engineers, which it remains to this day. During World War II, many operating engineers from New Jersey and New York enlisted to become Navy “Seabees.” These were battalions of skilled construction workers – who were also equipped to fight – who were sent into war zones to carve out bases, airfields and camps on beachheads of Europe and jungles of the Pacific Islands, and years later, in Korea, Vietnam, Kuwait, Afghanistan and Iraq. Since its founding, IUOE members have played a critical role in every major construction project, from the Hoover Dam to the Alaska Pipeline. Closer to home, they participated in the building of the New York and New Jersey skylines, the Holland and Lincoln tunnels, the World Trade Center and, sadly, its demolition after the attacks of September 11, 2001. The building of the George Washington Bridge, which was suspended by cables across the Hudson River to connect New Jersey with New York, and other bridges that followed. Newark Airport and its many upgrades. The construction of major highway systems, such as the Garden State Parkway, New Jersey Turnpike, Atlantic City Expressway, Interstates 195, 295 and 78. And in New York State, portions of the New York Thruway and the Tappan Zee Bridge. The Meadowlands reclamation and development of residential, commercial and industrial development on land stretching along the terminus of the Hackensack and Passaic rivers. Beginning in the 1970s, this 8,400-acre hosted massive building projects as Giants Stadium, the Meadowlands Racetrack and other public venues. Giants Stadium was replaced by a new stadium in 2010, which is now known as MetLife Stadium. The redevelopment of Atlantic City beginning in the 1970s and continuing over the next 40 years. The redevelopment of the Hudson River Waterfront, including Hoboken and Jersey City. The construction of a new Tappan Zee and Goethals bridges, and raising the roadbed of the Bayonne Bridge. These projects provide an example of the scale of the massive projects developed by the members of IUOE Local 825.